So many uses for plastic wrap!! Plastic wrap can be a little tricky when you’re trying to place it over food. But even if you haven’t mastered covering plates and bowls with the clingy stuff, there’s still a place for it in your home. 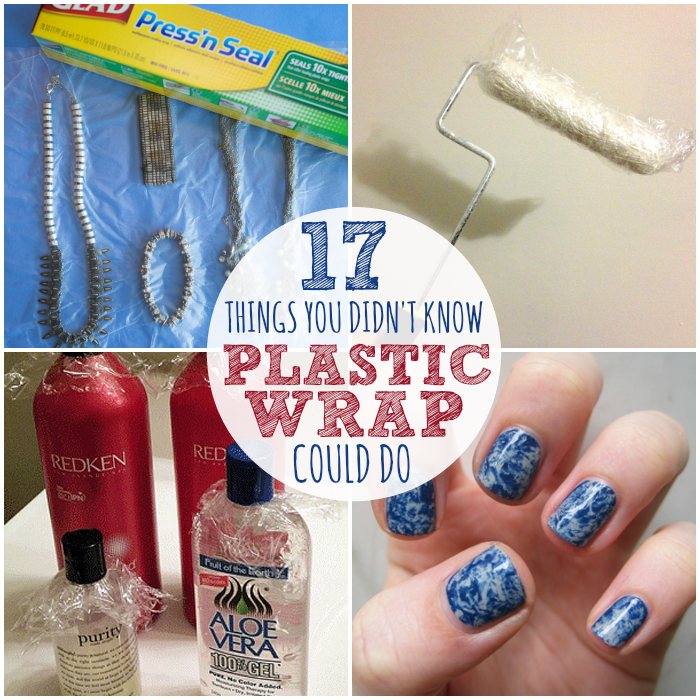 Use plastic wrap when you travel, around the house and in your beauty routine. 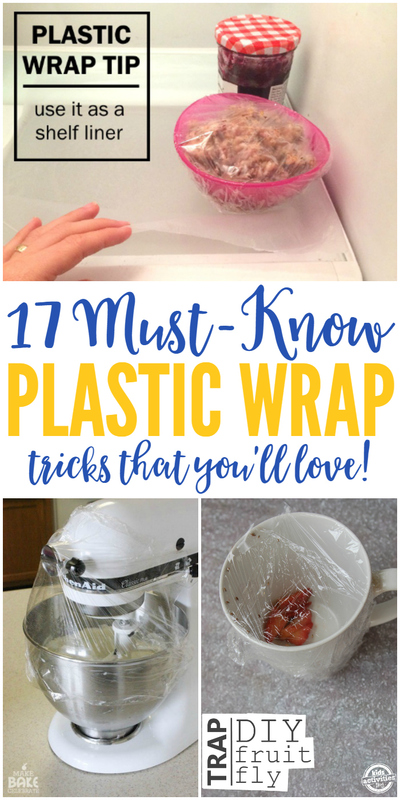 Check out these plastic wrap uses for some ideas. Wrap the ends of your bananas in plastic wrap to slow down the ripening process. Save space when traveling by packing your jewelry between two sheets of Press’n Seal wrap. Avoid ice cream freezer burn by placing a layer of plastic wrap over your ice cream before putting the lid back on. Frankly, we’re shocked that anyone holds on to ice cream long enough for freezer burn to form! 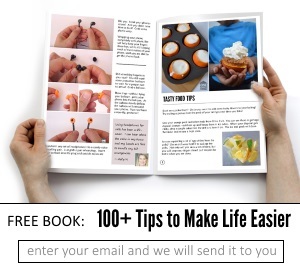 Isn’t cleaning the fridge annoying? Keep the shelves clean by covering them with plastic wrap. Remove and replace it whenever a spill occurs. Press’n Seal can work in a pinch to protect surfaces from paint. But for a really good edge, you’ll still need painter’s tape. Don’t cancel your run because you see a few clouds in the sky. 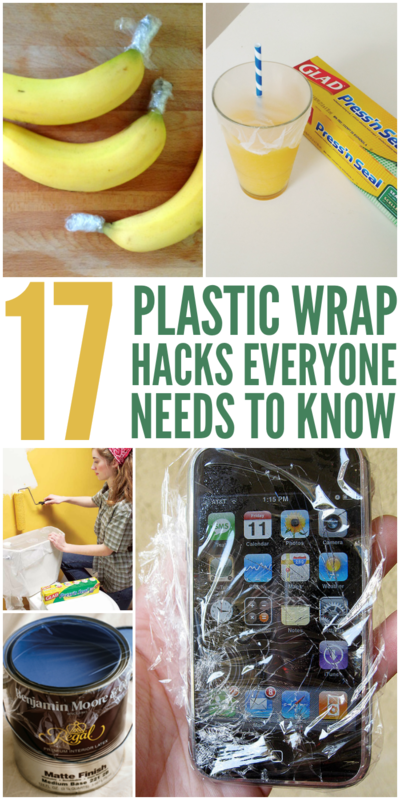 Cover your phone with plastic wrap to protect it. 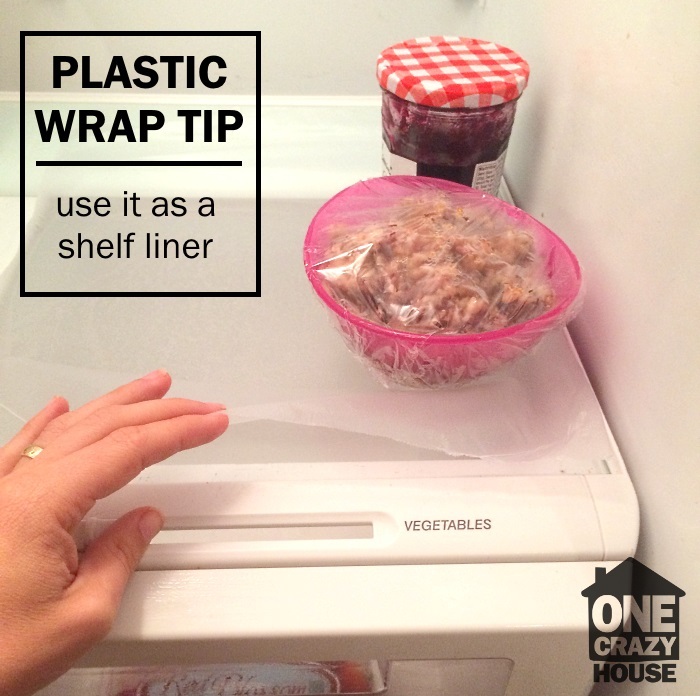 Place plastic wrap over open bins when you’re moving to keep the contents contained. 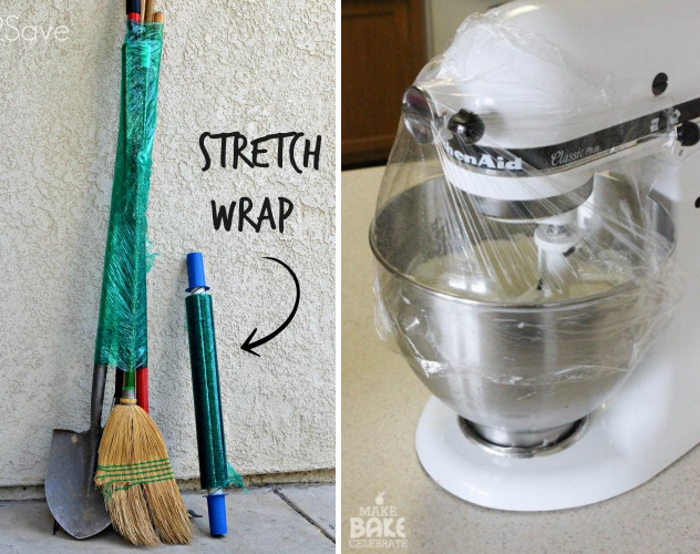 You can also wrap your yard tools to make it easier to grab and go on moving day! Protect your home from flour dust clouds with the help of a plastic wrap “guard”. Keeping your dough nice and fresh. Turn any cup into a travel cup with Press’n Seal wrap. Just insert a straw after you’ve covered the cup! Speaking of traveling, toiletries can create a big mess when they leak. Protect your clothes by placing plastic wrap under the caps of all your shampoos, conditioners, etc. Follow this tutorial to get rid of blackheads using vaseline and plastic wrap. It’s worth a try! Do you dread the daily cleanup when working on a DIY project? One thing you don’t have to worry about is cleaning paint rollers. Wrap them in plastic wrap to keep them from drying out between uses. Make this years present opening an ordeal they won’t forget. 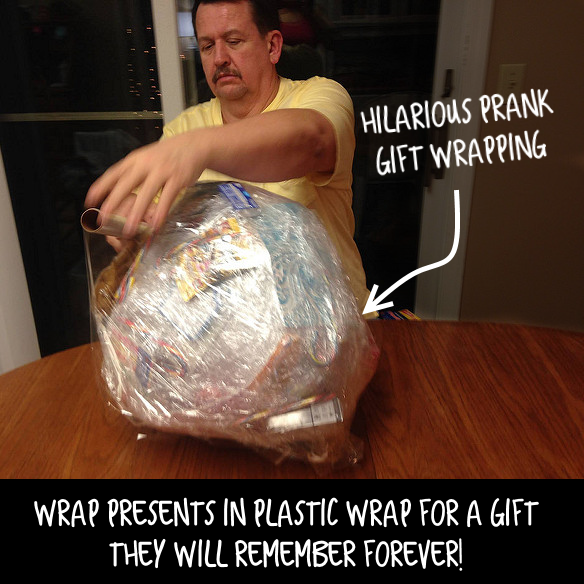 Instead of traditional wrapping paper, make a giant plastic wrapped gift. Preserve paint by placing plastic wrap between the lid and the can between uses. If you hate washing dishes and don’t mind looking super lazy, line your dishes with plastic wrap for easy cleanup. Great idea for a camping trip or picnic, anyway. Get a marbled nail look by dabbing painted nails with plastic wrap dipped in a different color. 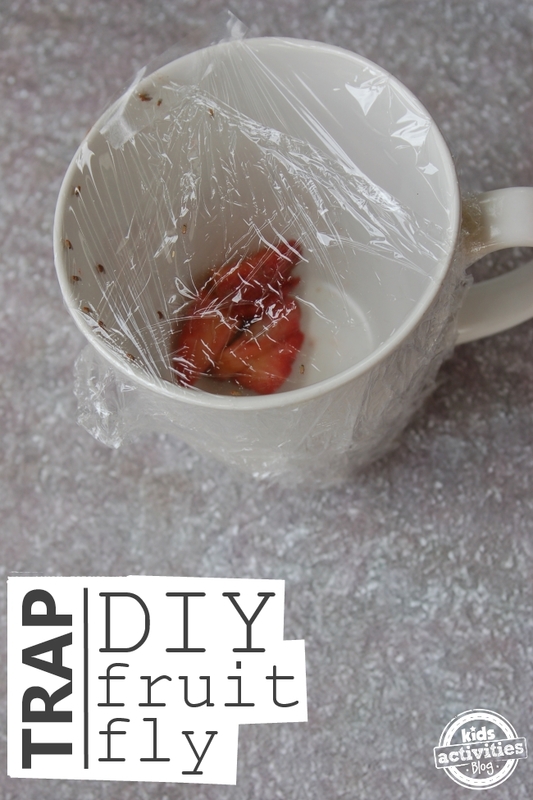 Make a DIY fruit fly trap with some fruit, a cup and a little plastic wrap. 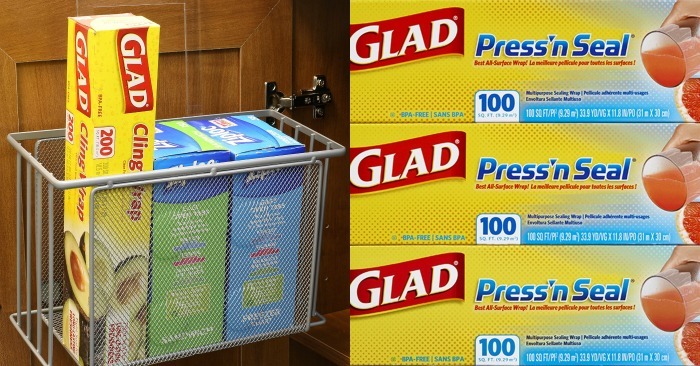 Over Cabinet Door Organizer/Holder for all these plastic wraps you will use. Stock up on Glad Press’n Seal Wrap, because you will need lots of it.